It seems the whole country, with a few exceptions, has united behind Rebecca Carter's fight to take her rightful place in UCD this year. 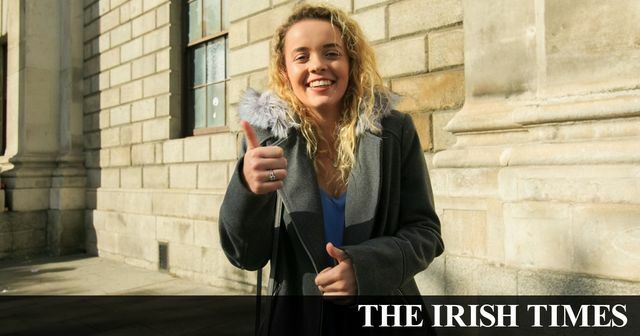 One of those exceptions, an education source, feels that the decision by the High Court to allow a student take her rightful place in UCD this year, has thrown State exams into "chaos" . Mr Justice Humphreys, after four days of hearing, said the delay in processing her results was highly unfair and described the corrections process as “manifestly unfit for purpose”. He said the situation should not repeat itself next year. It seems the education source who is concerned about future chaos has missed the point entirely. It's not the decision of the Court that will result in chaos: chaos is already the status quo in the State Exam Commission. That is now a finding of the High Court. It's the pre-existing chaos which the Court has effectively now directed must finally be addressed by next year. We have a Judicial Review process precisely because we can't rely on State and quasi-State bodies to universally apply common sense. That's what happened here. The system was broken and nobody in authority either cared enough or was bothered enough to do the work required to fix it. Now they have to. That's Judicial Review. The State exams have been thrown into “chaos” following a High Court ruling in favour of a student whose points were wrongly totted up, according to education sources. UCI Inspired by International Womens' Day!